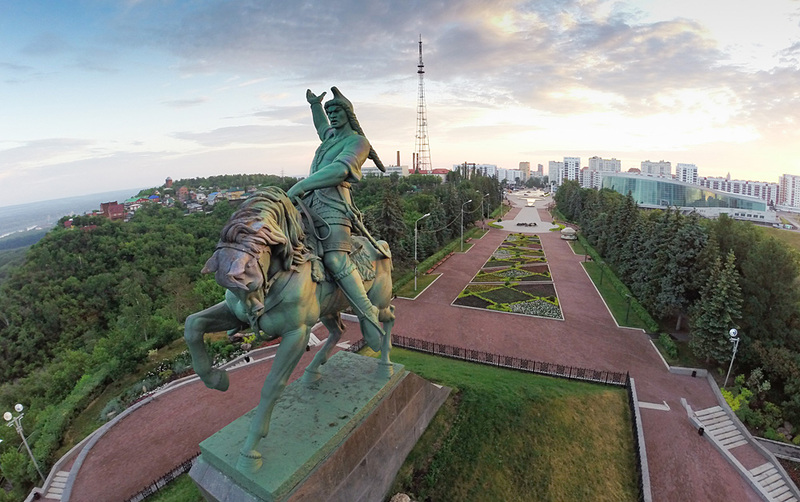 ‘India, far and wide,’ explores Bashkortostan’s relations with the country. A new book exploring the deep relationship between India and the Russian internal republic of Bashkortostan was released on Feb. 5. The book titled ‘India, far and close’ was written by Gulshat Khusainova was released in Ufa, the capital of Bashkortostan. Khusainova was a member of the Bashkortostan–India Society of Friendship and Cultural Relations. In 2015, on the advice of then Indian Ambassador to Russia P. S. Raghavan, Khusainova began working on the book. The Indian Embassy in Moscow provided financial support for the project, the website of the Ufa city government reported. The book elaborates on the long-standing ties between Bashkortostan and India in the economic, cultural, scientific and political arenas. Bashkortostan is one of India’s major trade partners in Russia, with cooperation extending to the pharmaceutical and aviation sectors. In 2015, Ufa hosted the BRICS and SCO summits.